Going on a hunting trip or deciding to spend some time camping requires that you choose all your gear and equipment properly. No need to spend a lot on packs that will cut or will not be sturdy enough to last for many uses. At the same time, you want to make sure that you’ve got all your stuff neatly packed in one place. This will ensure that you will rest assured knowing that all your gear is safely organized and that you can easily access everything that you have. With so many products on the market, we decided to review the Tenzing TZ 4000 Hunting Pack to see if it the best pack to have on an outdoors experience. 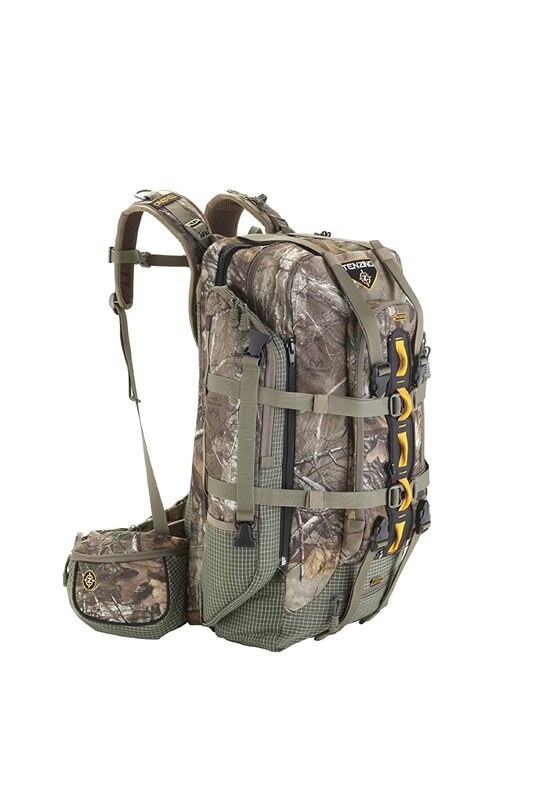 Hunters and outdoors enthusiasts need to make sure that they are not spending money in the air and we think that the Tenzing TZ 4000 Hunting Pack review will give you an honest opinion on how useful, and appropriate this bag really is. This fabulous Tenzing TZ 4000 hunting bag is big enough and perfectly designed to fit everything you need for an outdoors experience. The special design allows you to organize all your gear in a secure and convenient way. It is not just for hunting, but it is the perfect pack to take on any trip whether you are driving, flying or hiking. You will not have to worry about carrying everything around because this pack will allow you to put all your stuff in one place. This way you are ready for anything that you might encounter. You can pack all your hunting gear, bulky clothes, even a few snacks for a day in the outdoors and the best thing is that everything is perfectly organized and easy to reach while you are outside. The Tenzing TZ 4000 pack has a lot of expandable pockets that you can zip or unzip to fit everything you have. This means that you will get a chance to change the internal design of the bag for your convenience. You can have everything perfectly separated in separate compartments or have them all the compartments removed to fit any big load. The bag contains a total of 21 pockets and compartments which will allow you to organize all your gear, your clothes, your food and whatever you think of packing around. With only a few adjustments you can change the size of the pack to 3 different sizes according to your convenience. Your needs will differ according to the time and the occasion. This means that you need a pack that is highly versatile and can be adjusted according to your different needs to fit everything you have. When the pack is fully packed in, you will get a roomy space of 2500 cubic inch. This is big enough to fit all your gear and equipment needed for a day in the wild. If you want more space, you can quickly unzip a pocket to reveal more 300 cubic inches that will help you pack in more stuff. If you have a great catch, you can open the central meat compartment, and this will allow you to reveal more 1400 cubic inch. This means that you will be able to pack on everything you have onto one bag that is big and wide enough to carry everything you can think of on your outdoors adventure. One of the most important aspects to consider while buying a pack that you will take on a hunting or hiking trip is that you make sure that you are purchasing a sturdy product. There is no point in stuffing gear and equipment in a bag that will tear or will not put up with the weight. But this is not true for the Tenzing TZ 4000 Hunting Pack that features a study and durable internal aluminum frame. Aluminum is heavy duty and is very light. This is why the pack weighs only 7 Ib 6 oz. although it is very sturdy and durable. After packing everything, you need to make sure that your bag is easy to carry around and this is what you get with this fantastic pack. The pack features five horizontal and four vertical compression straps to secure load, and this means that everything will stay in place so that you can quickly move around. There is no room for accidents thanks to the exceptional design. Filling this pack to the maximum is no problem. You can still easily carry it around thanks to its special design. It features a channeled air-cooled back pad that will keep you cool even when carrying this pack for long hours in the wild. The torso can be perfectly adjusted to suit different heights, and this means that you will be able to carry it comfortably in a way that won’t strain your shoulders and back muscles. This is the perfect pack to take on any outdoors experience. It is the best bag to take while traveling because you will be able to pack everything you have. A sturdy internal aluminium design that will allow you to put all your stuff and it won’t cut or tear. Special zip pockets that you can easily zip and unzip to organize everything or to create enough space for all your gear. A breathable meat compartment that will keep all your meat fresh. A cooled back design will keep you comfortable while carrying this pack for a long time. A special boot that will help you to carry your gun or bow for the best hunting experience. The pack is H2O compatible for up to 3 liters. Special straps to secure your load. Comes with a rain cover. Some people find that the number of pockets and straps is a bit overwhelming. It might be a little bit confusing while you are on a trip. The waist belt tends to deteriorate fast especially when you pack heavy gear in the bag. A: No it isn’t. But it features a rain cover that will keep it safe. Q: How many shades are available? A: This pack is available in 3 different shades that are beautifully designed to suit every preference. Q: Does it come with the hydration system? Q: How thick is the fabric? A: The fabric is pretty thick and this means that it is quite durable. Q: Is it big enough for a few days trip? A: Yes, the bag is roomy enough to fit everything you need on a trip. This Tenzing TZ 4000 Hunting Pack review shows that this is probably one of the sturdiest and best packs on the market. 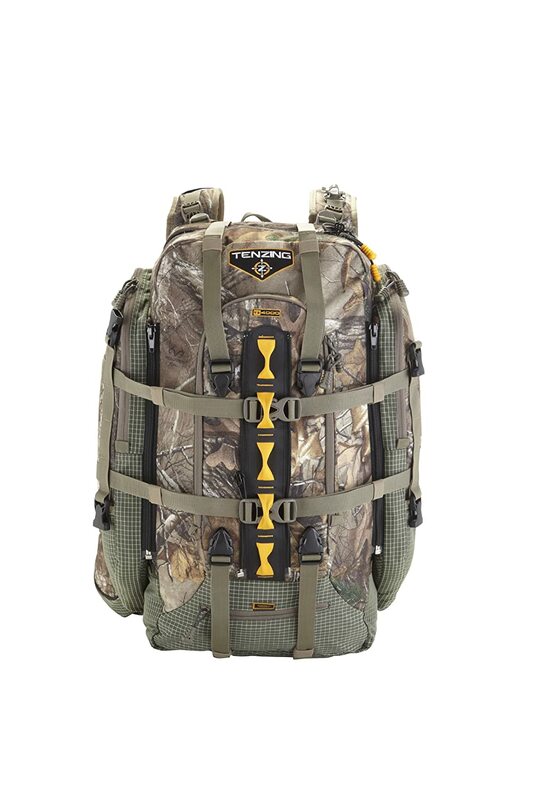 The roomy design is big enough to fit everything you will need on a hunting trip. Although it is so big, it is not heavy, and you can carry it comfortably. The best thing about this bag is that you can easily adjust it and use it according to your needs and preferences by removing compartments to reveal more space or by keeping the pockets to keep your things separated. We love this pack and recommend it to people who want to have something sturdy and durable.